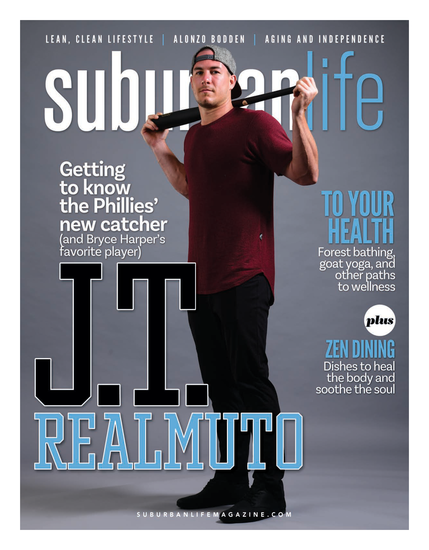 Suburban Life/Philadelphia Life sat down with Dr. Lantzy and his team to discuss frequently asked questions. 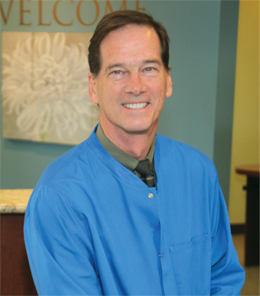 Robert A. Lantzy, DMD, LLC has not only been providing the utmost in cosmetic restorations, but has remained com- mitted to imparting the highest level of importance on health and wellness to avoid disease throughout the whole body, not just the mouth. Dr. Lantzy: If you have a family history of cancer, stroke, MI, or diabetes, or it’s very important to reduce oral inflammation that can affect other body parts and trigger systemic diseases. Family history definitely increases the need for being proactive. Our goal is to help you eliminate oral inflammation. Marg Lantzy: When someone invests the time to be proactive with dental care, they offer them- selves a healthier, happier future outlook. ML: When someone avoids routine visits and goes by the thought process of, “If it’s not broken, don’t fix it,” they lose out in a number of ways: one, there will come a day when a crisis arises and they will want immediate pain relief. Some- times the fix is not quick, nor simple enough. Secondly, people should know that oral disease is silent—by the time it hurts, there’s already significant damage and significant inflammatory response signaled out to the body. Herein lies our desire to prevent. RL: Inflammation anywhere creates an imbalance to the body systems. Bleeding from oral inflammation will introduce these bad bacteria into the blood stream, which ultimately have access to your entire body. Those inflammatory factors can cause other weak areas to be affected. ML: The surgeon general reports through the American Academy for Oral Systemic Health (AAOSH), that at least 80 percent of Americans have gum disease. Since the mid- 90s, oral bacteria was linked to heart disease, stroke, respiratory disease, cancers, low birth weight babies and diabetes. This raises the importance of preventing gum disease. I don’t think people realize the importance of taking proactive steps to avoid future problems. Our society doesn’t help people maintain a healthy lifestyle either. For example, the super-sized mentality of fast food and sugary drinks leading to metabolic problems as well as rampant cavities. Surely flossing and brushing properly can save your smile after a sugar assault, but the body still takes quite a hit. At this point, we’re coaching patients toward not only a healthier smile, but a healthier lifestyle as well. ML: Frequent sugary snacks create an acid response, lowering the PH in our saliva. As teeth bathe in the acidic saliva, the enamel is demineralized, which causes the start of decay. Medicines that cause a decrease in saliva, or “dry mouth,” make the acid attack even more concentrated. RL: Fear. Dentistry has had a bad reputation from early years, and we’ve gone from a profession reacting to emergencies to one of prevention. Cost is another perceived fear. Priority is the main factor. It’s not perceived as an important task if you’re busy and there’s no pain. How many people delay or don’t even get routine physicals unless symptoms bother them? Pain and bleeding is not normal. Bleeding is a warning sign that there’s something wrong. ML: Cost may be a fear factor with someone who has been away from care. Perhaps they thought they’ve been fine, life’s been busy, but now something is just not right. While major restoration is more costly to fix versus routine care ... some will have the view that a fee is never cheap enough. Unfortunately, living a life with a sort of “patch up” mentality never solves the root cause of a problem. While short term fixes may provide relief, problems have a way of resurfacing. Our approach of a comprehensive exam starts the healing process...and our goal is to correct the cause, so that you have lasting results. ML: We review treatment and financial options before care takes place. Whatever your concerns are, we want you to feel comfortable before moving ahead. With a number of options available, patients do not need to worry about not having insurance. We have an In Office membership plan, our Loyalty Plan, because we believe in regular maintenance as your best means to stabilizing dental costs. ML: We’ve used saliva testing to find which bacteria are most harmful to know what therapy may be most successful for treating a periodontal patient adjunctively ... and as salivary testing continues to progress, it will provide more insight. 11 Friends Lane, Suite 100, Newtown, Pa.